All tunes made in Delhi, Pushkar, Goa - India. 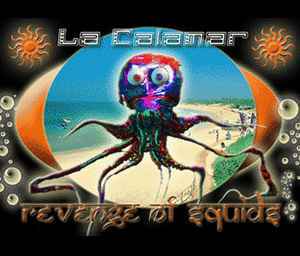 Mixed & mastered in Finland 2003.
bubbly and warbly, sometimes funky and melodic, always very psychedelic album from la calamar. His earliest and one of his best releases. Still sounds good today although it does feel dated, but for a free release it is a very good one. Great mixing material too if you like the older and more laidback spugedelic sound. Sounds akin to the older releases of for example Loopus in Fabula, Kiwa, salakavala, antiscarp warriors, etc... Standout tracks for me: 01-05-06, especially 06. There are a good number of average tracks on this release too, not a lot of real stinkers. Still worth 4/5 to me.